We seem to have a natural inclination to place little value on those things that are common. However, a moment of thought should cause us to have some misgivings about this tendency. To be common is one attribute of success, and success is something we value greatly. Few biological groups are as common in so many habitats as ants. 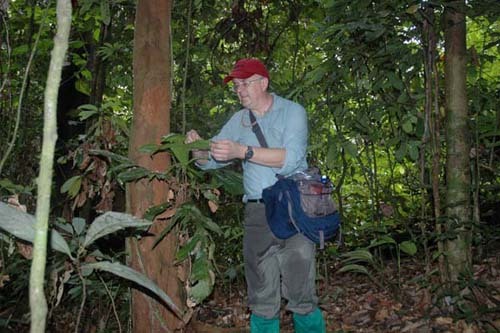 From a rainforest canopy in Brazil to a downtown street corner in Canada only a moment of observation is likely to be necessary before finding an ant. But what does this abundance mean? To a biologist, abundance is synonymous with biomass. In turn biomass is a measure of energy. By examining the distribution and movement of energy we can begin to understand important features and functions of an ecosystem. The biology of ants has attracted a great deal of attention in the tropics where ants are the single greatest contributors (just less than 20%) toward total animal biomass. This is more than twice that of total vertebrate biomass. Estimates of ant biomass in other habitats vary greatly but common temperate forest estimates suggest a dry mass biomass of around 40 kg ha-1. Compare this to moderate moose biomass in the central interior of British Columbia where wet mass values of approximately 4 kg ha-1 are common. 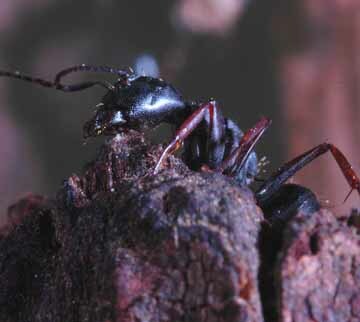 Despite the ubiquity of ants in boreal and sub-boreal forests we know very little about them. This webpage, hopes to provide some information relating to ant research in British Columbia and, with time, provide a key to the identification of many ant species.